Research and patient experience supports the effectiveness of Acupuncture. 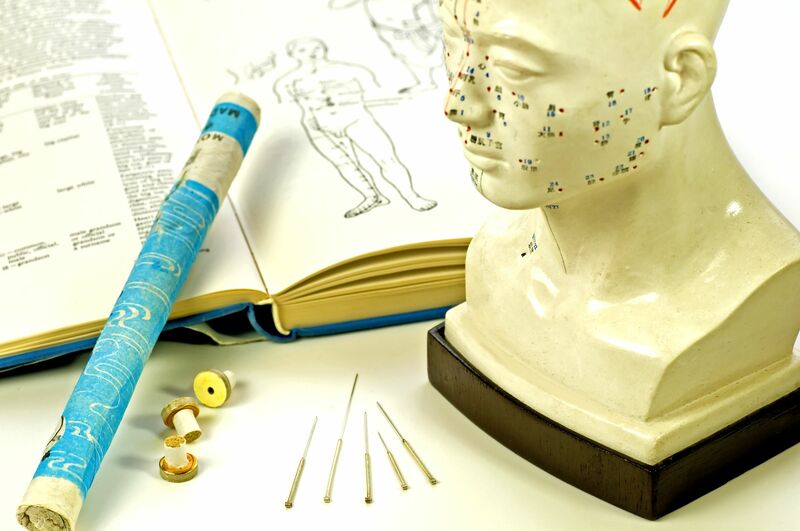 Acupuncture has been practiced in many countries for thousands of years and is a foundational part of traditional Chinese medicine. Millions of patients around the world utilize acupuncture to treat chronic pain. If performed by an experienced and well trained practitioner in a sterile environment Acupuncture is generally considered safe. Sports injuries can affect any part of the body and may occur during any type of physical activity, including daily exercise. However, some types of sports injuries are more common than others, simply because certain areas of the body are more prone to problems associated with overuse or poor form. Sprains are some of the most common sports injuries. A sprain occurs when the ligaments that support a joint are overextended but not torn. Ankle and wrist sprains may seem minor, but can still benefit from professional diagnosis and care. Overuse injuries are another common type of sports injury that can affect the muscles, joints, and bones. Common overuse injuries include stress fractures, Achilles tendinitis, Iliotibial band syndrome, shin splints, plantar fasciitis, and tennis elbow. The knee is a vital but vulnerable joint that frequently suffers sports injuries. Knee injuries often treated via sports therapy include patellofemoral pain syndrome, ACL tears, and meniscus tears. Injuries that cause severe pain or numbness and injuries that do not respond quickly to at-home treatment should always be evaluated and treated by a professional. The best treatment for a sports injury will depend upon the type and severity of your injury. Medications are often used to reduce swelling and inflammation, as well as manage pain associated with sports injuries. Immobilization via a cast, splint, boot, or brace can keep injured joints, bones, and ligaments in place while they heal. Stretching and strengthening exercises can prevent the formation of scar tissue during healing and maintain or improve flexibility and range of motion. The application of heat, cold, mild electrical currents, or massage can be used to reduce pain and promote healing in soft tissue injuries. Orthopedic surgery can repair tissues, joints, and bones that have been torn, broken, or damaged by a sports injury. Broward Medical and Rehab is pleased to offer chiropractic care, physical therapy, and orthopedic surgery for the treatment of sports injuries in Hollywood, FL. You can reach our practice by calling (954) 925-7333 to schedule an appointment for sports injury evaluation and treatment today. In 2016, several million people suffered car accident injuries in the United States. Injuries sustained in an accident can have long-lasting effects on your quality of life, from chronic pain to physical disability affecting your ability to work and take part in daily activities. If you have suffered a back or neck injury following a car accident, Broward Medical and Rehab can help you in your recovery. Car accident injuries can range from minor to severe, and often symptoms can take several hours or even days later to appear. Automobile accidents are one of the most frequent causes of back and neck injuries. These types of injuries can cause pain and reduce mobility. Car accident injuries are affected by several factors, including the type and number of cars involved in the crash, the speed at the time of collision, and whether or not the individual was wearing a seat belt. Whiplash is a type of neck injury that most commonly occur during a rear-end collisions. The sudden motion of the body and neck relative to the head can injure the soft tissues of the neck and upper back. Herniated discs is also a common spine injury related to car accidents. This condition occurs when one or more of the discs that provide cushioning for the vertebrae bulge outward, compressing a nerve and causing pain. Other common back injuries sustained during car accidents include: mid- and lower-back muscle and ligament injuries, such as sprains and strains. These injuries are caused by the stress placed on the spine and soft tissues during a collision. Head injuries can occur when the head hits the steering wheel, window, back of the seat, another passenger, or any other component of the vehicle during a crash. Following an auto accident, chiropractic care and physical therapy offer both short- and long-term benefits. If you would like to learn more about treatment for auto accident injuries in South Florida, please call Broward Medical and Rehab at (954) 908-7339. Chiropractic adjustments can relieve pain associated with whiplash, herniated discs, and head or back injuries. This treatment promotes proper alignment of the spine to reduce pressure placed on nerves, muscles, and/or tendons. Exercise can also be beneficial for individuals who are recovering from their car accident injuries, helping to strengthen muscles and regain range of motion. Physical therapy focuses on achieving pain-free motion by promoting flexibility and strength as injuries heal, which reduces pain and prevents long-term disability. Many people are struggling with a chronic illness like obesity, diabetes, cancer, fibromyalgia and can find relief from chiropractic care. An assessment of the patient’s health status can be performed in a non invasive way without surgery and often without medications. Lack of activity and illness can impact your spinal health, and manipulations can often relieve pain and frustration. Our team of dedicated and experienced health care professionals provide physical therapy services in a relaxed and comfortable environment. At Broward Medical and Rehab, we not only help directly treat and heal the underlying cause of your injury, but use exercises and other techniques to make sure that future injuries are prevented. From persistent pain in your life to recent sports injuries, we can help treat a variety of conditions. Are you injured and looking for the highest-quality physical therapy? Our professional staff at the Hollywood location, have the knowledge, experience, and tools to help make sure that you can get back on your feet as soon as possible. We can help treat your problems with the expert care that you deserve! Contact us today at (954) 908-7339 to schedule an appointment. Preventive care is the best approach for minimizing long-term health issues and maintain a greater sense of wellness. Many people will visit a chiropractor for back pain, but conditions such as headaches, pain of the extremities, stress disorders, and arthritis may also be treated under the care of a chiropractor. Treatments may be used exclusively or in conjunction with other therapies, depending on the needs and preferences of the patient. What Happens in a Chiropractic Visit? Your first visit with a chiropractor will include an extensive conversation about your symptoms as well as your overall health, since there is a holistic element to treatment. Chiropractic care utilizes the science that all systems in the body are connected, so a whole-body approach is appropriate for managing a wide range of conditions. How is this care is achieved in each visit? Assessment and diagnosis – Your chiropractor may use diagnostic imaging to identify specific issues in the musculoskeletal system, which can guide your treatment plan. 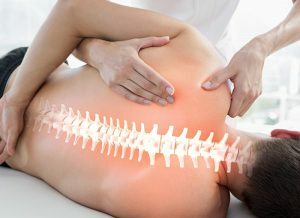 Spinal adjustments – Typically, chiropractic care takes place over a series of visits in which the chiropractor will perform adjustments to properly align the spinal structures and improve posture. The chiropractor may also recommend specific exercises or stretches to use at home between appointments. Lifestyle management – In addition to your physical adjustments, your chiropractic care may include nutritional recommendations, exercise guidelines, and other lifestyle changes that will all affect your overall wellness. These recommendations are all made on a case by case basis, as they will be determined based on your current health and goals for treatment. Chiropractic care offers many advantages for patients, but perhaps the most important is the personalization of your treatment. Unlike other physicians, chiropractors will take the time to get to know your health and lifestyle goals and examine all aspects of your total health to ensure that treatment does what you need it to do. Whether you have suffered an injury, are experiencing chronic pain, or are simply looking to improve your quality of life, call Broward Medical and Rehab at (954) 925-7333 to schedule a consultation with one of our chiropractors. Our practice emphasizes integrated, comprehensive care to conveniently address your needs in a single practice. Please enter height in cm and weight in kg for more accurate results. This chart is just for educational purposes, for more information on BMI and your health concerns, please see one of our physicians. Please enter height in cm and weight in kg for more accurate results.